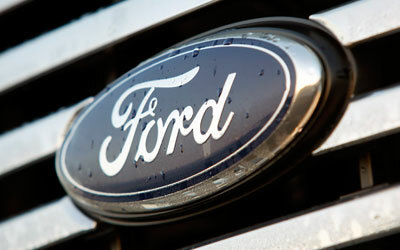 Ford Asia Pacific has released a new teaser video (as seen above) to showcase the details of the 2015 Ranger pickup. This new mid-size pickup features many similarities with the Everest SUV, including similar headlights, and has included a number of upgrades from previous models, for example, a larger, redesigned grille, a restyled front bumper with new fog lights, and more creases on the engine hood. In case you were wondering, no– this truck will not be available in the United States. The reason that it is not being sold here in the United States is simple. There just isn’t that much of a demand for mid-size pick-ups here. 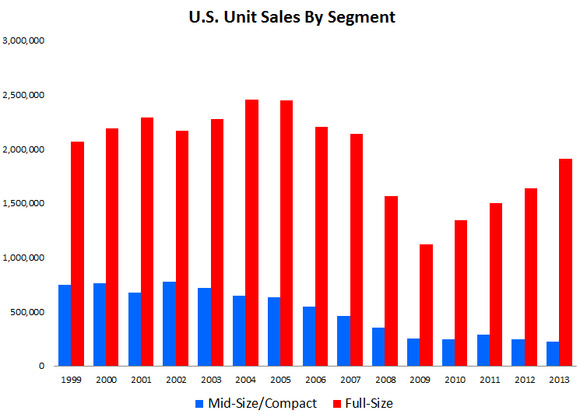 Check out the sales chart from the past 15 years; the mid-size has dropped nearly every year! This chart, of course, doesn’t include figures from 2014, which has been a huge rebound year for pickup sales. In fact, nearly every major automaker has recorded multi-year high or all-time high sales numbers. And that doesn’t even include this year’s most anticipated and talked about pick-up release: the aluminum 2015 F-150. Part of this increase has certainly been felt in the mid-size market, too. Just take a look at GM’s 2015 Chevy Colorado and 2015 Canyon models, both of which are selling at unprecedented heights. Unfortunately, it appears that Hanely and his crew’s efforts were done in vain because this truck will not be available here in the states (at least for right now). The reason, of course, is that the Ranger is too big and too similar to other full-size truck models to be a competent mid-size American truck. Buyers would just opt for the slightly bigger and much more capable F-150 option, which is why it appears that Ford will hold off for a while until they decide to develop a more “suitable” mid-size option. For overseas markets, though, the Ranger is perfect for a few reasons. 1. The F-150 has never been a big seller over there, and 2. The Asia Pacific market just isn’t as interested in hauling power as Americans are. It’s as simple as that. This entry was posted in Ford and tagged asia-pacific, canyon, colorado, everest, ford, ford ranger, GM, mid size, pick-up, pickup, sales. Bookmark the permalink.